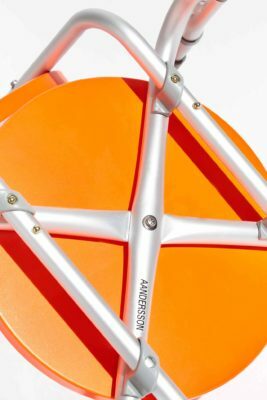 AANDERSSON - 005 - dining chair. 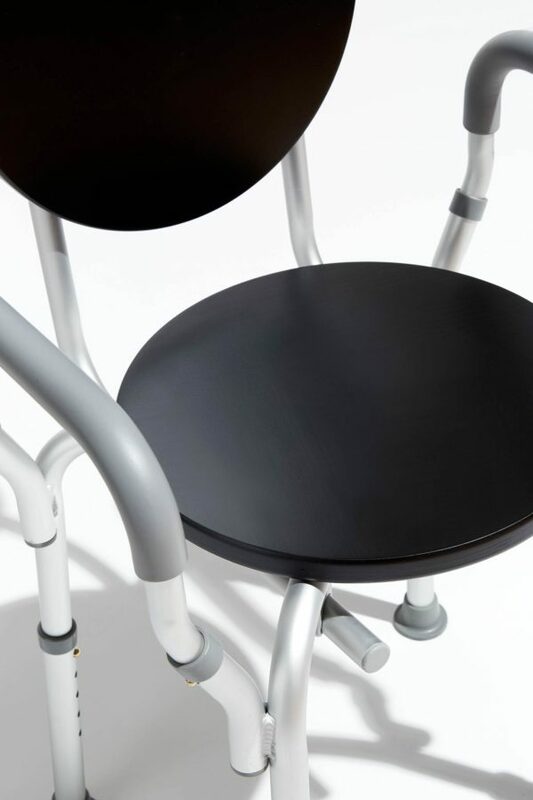 The Dining Chair is inspired by the utility of furniture designed with a very specific purpose in mind. 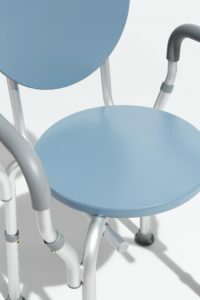 The design balances characteristics of purely functional seating, typically associated with medical and ergonomic applications, with minimalist design elements. 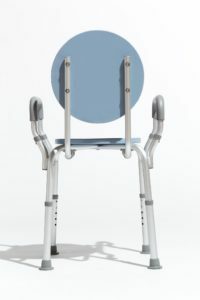 The chair adopts both aesthetics and function of the furniture it is inspired by; adjustable height, removable back and lightweight frame are some of its features. 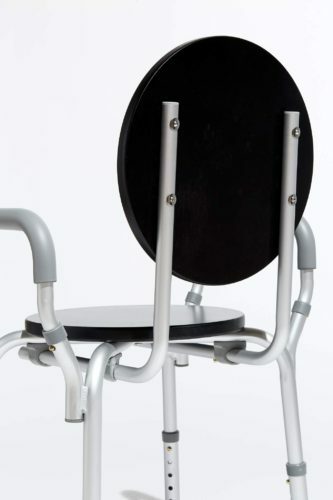 The name forces this chair to be thought of within the context of the contemporary dining space, where modern attributes of this chair regardless of their reference points can be highlighted. 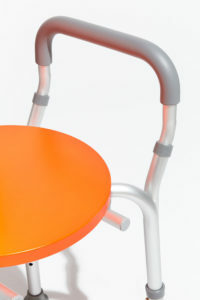 Bent aluminum, molded plastic, geometric forms and exposed hardware are just some of these attributes. 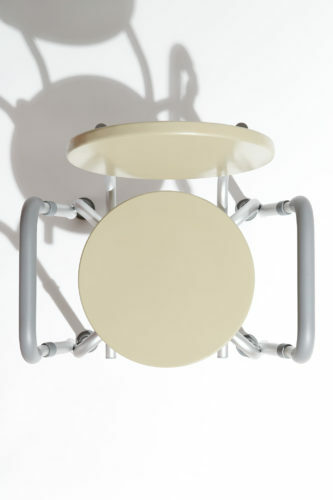 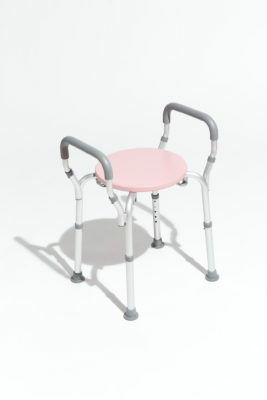 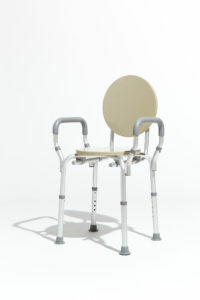 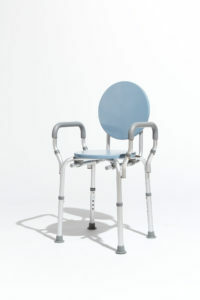 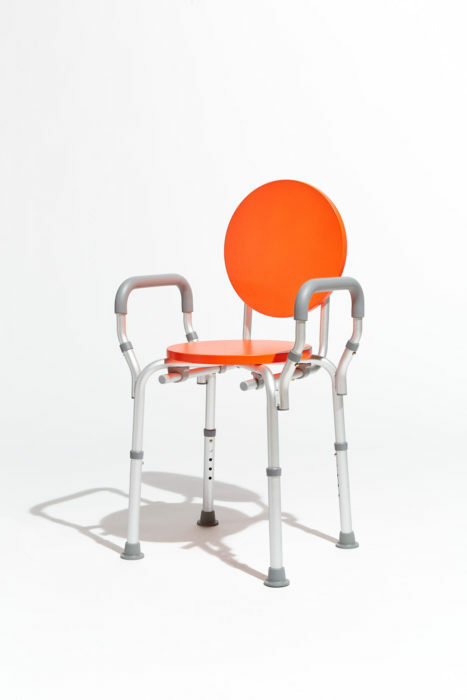 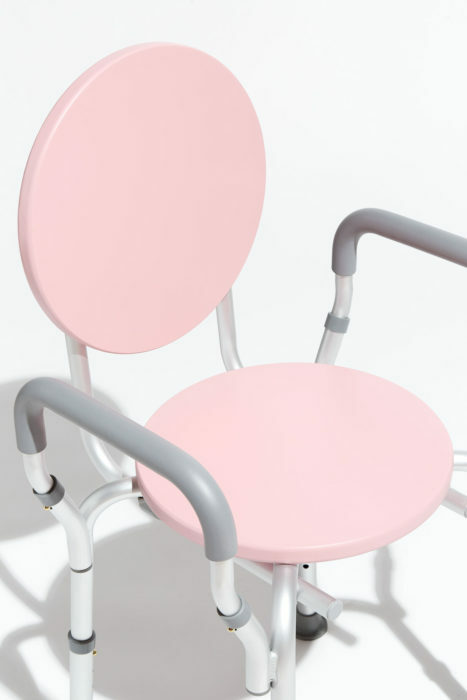 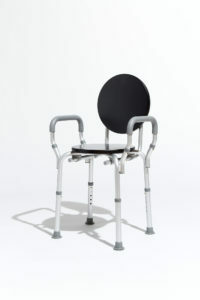 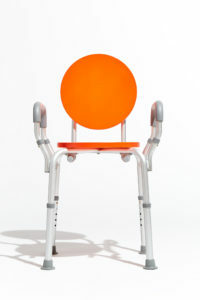 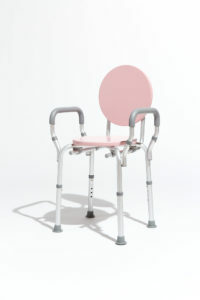 Designed in five different satin finish colors, the painted birchwood seat and back rest visually cut through the maze of the adjustable bent aluminum frame and its many functional accessories. 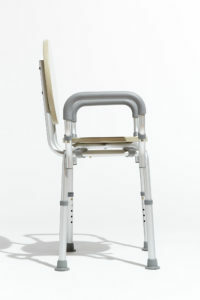 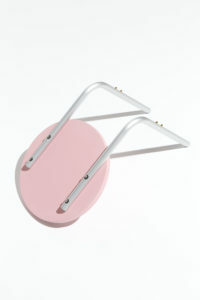 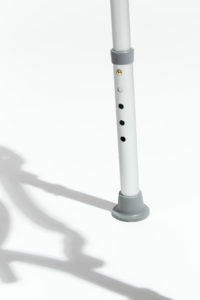 This design is suitable for use as a chair or as a stool with the back removed.